Known as the Vegas of the East, Macao has held the title of the biggest gaming destination of the world for over a decade. And yet, this tiny special administrative region (SAR) of China, consisting of a peninsula and two islands, has so much more to offer. For one thing, having been a Portuguese colony for more than four hundred years, its architecture and its food has taken on a distinctively Portuguese flair. Before the beginning of this year, I had never skied. Even going to a snow-covered destination seemed like such a drag given how little sun we get in the UK. And I am forever praying at the sun altar. Plus, a conversation with a skier and snowboarder – where the experience was described as going ‘shoob, shoob, shoob down the mountain’ – left me thinking skiing sounded really boring and was probably not worth the money. 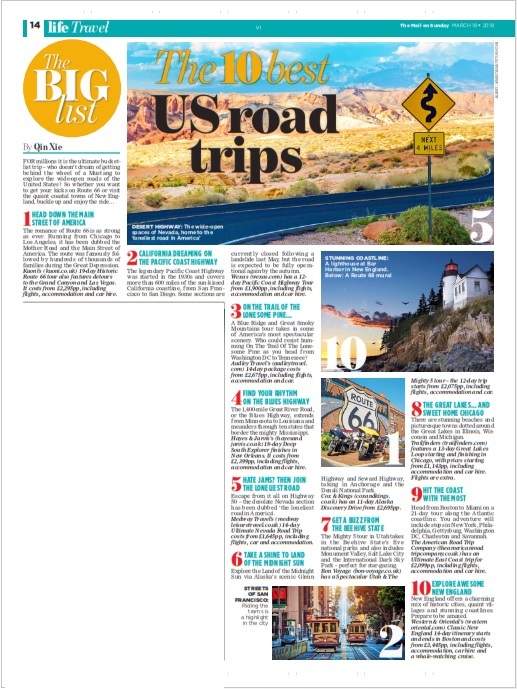 For millions it is the ultimate bucket-list trip – who doesn’t dream of getting behind the wheel of a Mustang to explore the wide-open roads of the United States?